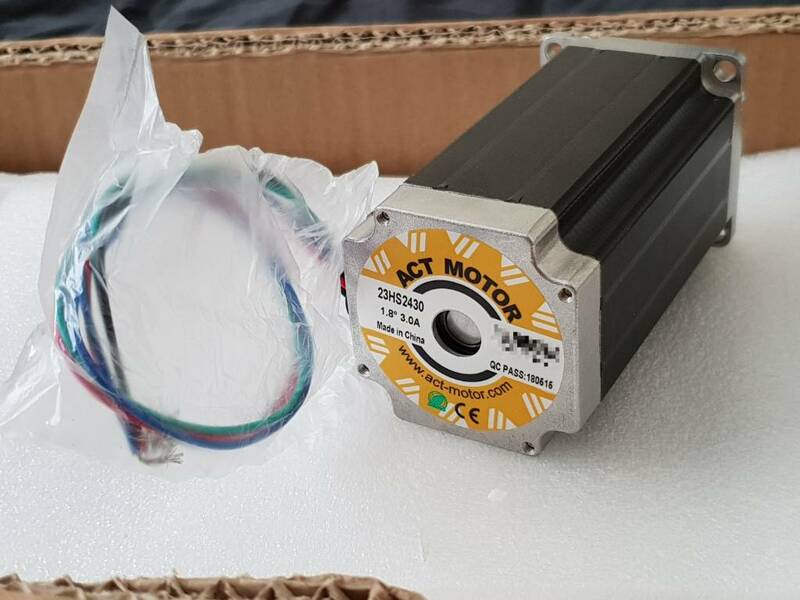 There's a really useful motor/ballscrew calculator spreadsheet somewhere on this forum which I found really useful, though I can't seem to find it at the mo. - worth digging out and putting in your predicted mass/lengths/desired speed to see what motor/power supply suits. other vendors seem to do similar products, it appears that the straightness spec. is better than normal stuff. Voicecoil thanks for that. I'll try to dig out the spreadsheet. Good point about the straightness spec. I may just use the 100x50x3 section as strengtheners in the lower part of the frame if it's not as straight as required. Is there any way I can check the straightness and rectify the rails should I need to? I can see lining up the rails might be an issue if I just use a gauge and the face of this box section should it not be adequately straight. Last edited by Blazing Black Beard; 24-10-2018 at 09:25 AM. I would say that a decent long straight edge and a large square are pretty essential when building a machine - unless you happen to have access to a large surface table of course! So is there any way I can check straightness? Is there any way I can rectify it if it's not straight? Is there any way I can reference another known straight face without too much expense? Is there a way I can still use the lower grade steel box section, cut the the mounting points and then tweak the linear rails with something known to be straight? I see people using the known good face of aluminium extrusion to set their first rail but this build doesn't use that for the structure. Most people just use the standard box section, if you are welding there will be distortion you can reduce this somewhat by just stitch welding it, doesn't have to be full weld. the distortion in the base (X) axis is is eliminated with epoxy grout levelling. How can the face on the side of the box section be used to keep the rails parallel though? These can't be poured with epoxy as it would just run down and onto the floor. Last edited by Blazing Black Beard; 24-10-2018 at 02:21 PM. The epoxy goes on the rail mounting surface, the guy in the video is using the ally profile as a reference, dont like this unless it's been machined to be flat, you should be using a precision straight edge to set the rails. Yes, that's what I thought. I need to find a precision straight edge then. Any suggestions? 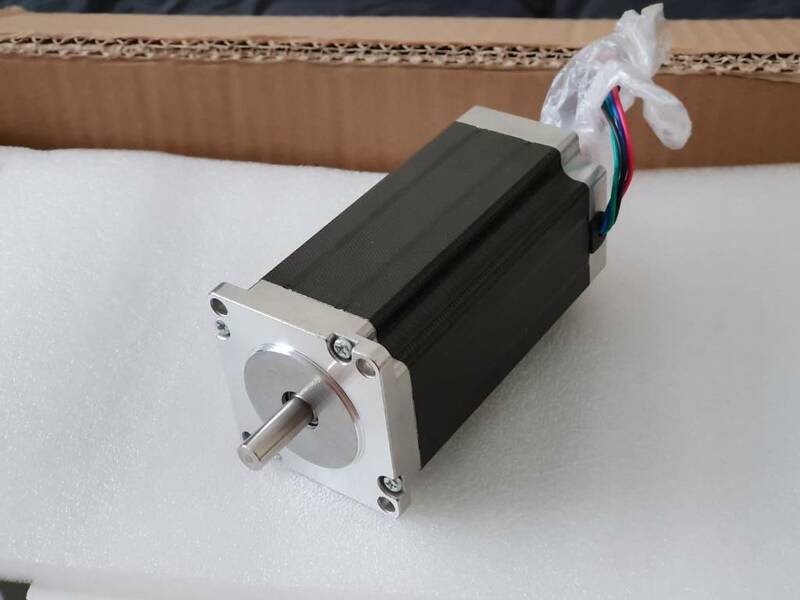 As for the stepper motors I received earlier, they do not have the D shaped shafts. A friend of mine said it was a shame but they look like quality motors. I'm going to take an educated guess that round shafts aren't as good for this particular application, is this the case? Can anyone see any issues with them being round shafts as opposed to D shafts? Last edited by Blazing Black Beard; 24-10-2018 at 03:46 PM. Unless you are using very fancy pulleys with D-shaped holes, then the flat is only for a grub screw to bear against. It's not critical and you could always put a flat on with file (if soft enough) or small grinding point. That's what I did with the ends of my ballscrews which did not have a flat as supplied.